Independence was a huge milestone for Singapore and brought many benefits and challenges.The government overcame many such challenges and made Singapore become a better place for everyone staying in Singapore. In the following paragraphs, we will see some ways in which the lives of people in Singapore changed. One such aspect of the changes were employment opportunities. Other than developing its defence after independence in 1965, Singapore also needed to provide employment for its people. Another aspect of the changes was housing conditions. Before independence, most people lived in kampongs within squatter settlements all over Singapore. The living conditions were poor as many of these were run-down or overcrowded.To improve the living conditions, the government established the Housing and Development Board (HDB).The HDB thus implemented a housing programme to build new flats quickly. By the end of 1965, the HDB had built roughly 53,000 new flats. They also addressed the problem of overcrowding around the city area, by relocating families to HDB flats to all over Singapore to disperse the crowd. The flats were equipped with amenities that people needed. While most people appreciates the new facilities and better living conditions, they still missed living in kampongs as they had more fun and time to interact with their neighbours . Some wanted to stay in kampong as they had small businesses by selling the chickens and crops grown and raised in their backyard . Singapore is a small country with limited land and so this causes some housing issues. People who once lived in kampongs have mostly shifted to HDB flats. Also, the HDB houses are getting smaller. Apart from housing, Singaporeans also felt that there was a lack of protection and security at the time. When Singapore just gained independence, most people were staying in shophouses. The shophouses were very unhygienic as there was no flush toilet system in place then. 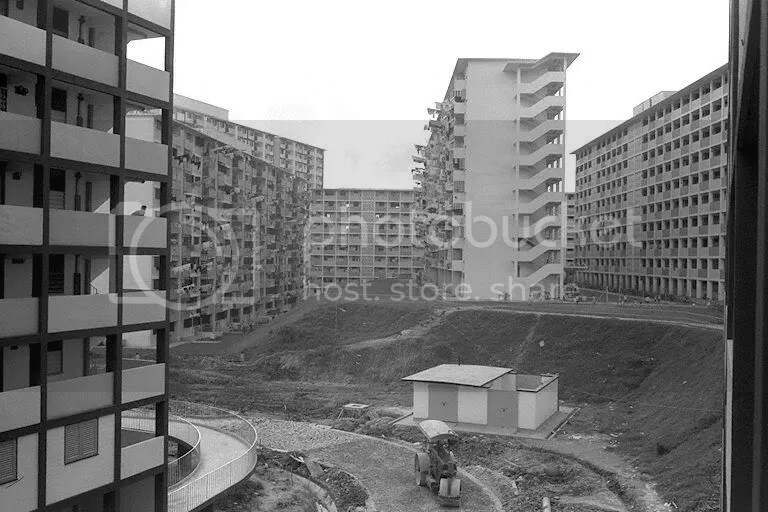 By 1974, nearly half of Singapore’s population was living in HDB flats. The HDB flats are much cleaner compared to the shophouses as they have their own rubbish chute. Living in HDB flats also makes living much more convenient with places, such as bus stops and workplaces being in the vicinity. However, the introduction of HDB flats removed opportunities for the residents to talk among themselves, leading to some trust issues within the flat that wasn’t there when the people were living in kampongs. When Singapore gained independence, most people were either living in squatter settlements or shophouses. These shophouses were very cramped as there was a sudden rise in the population and as a result, each house would have up to 10 families living together. Due to such housing problems, the Housing Development Board was set up to provide better housing despite the limited land and resource Singapore had. These are the HDB flats. The HDB flats are high-rise buildings which can house many families easily. These high-rise flats are much more cleaner compared to the squatters of the past and also makes living in those areas much more comfortable due to the various amenities present. Though this, living conditions in Singapore have improved significantly. Singaporeans did not believe that we were well-defended as Singapore lacked the manpower and the finance required to do so. This was because Singapore had to pay attention to other areas for development due to the independence from Malaya. Singapore’s defences were improved on drastically through the introduction of National Service, military cooperation with other nations and building Singapore’s defence industry. National Service involves the formation of the Singapore Armed Forces with the majority of male citizens in Singapore. These men would then go on to be part of the reservist forces upon completion of their National Service. This also instills unity within the servicemen which in turn fosters a national identity and promotes comradeship. Military cooperation involves an agreement with other countries and under these agreements, member countries would agree to conduct regular joint military exercises and consult each other when faced with external threats. Singapore’s defence industry improved by setting up the Chartered Industries of Singapore to provide weapons and ammunition for the SAF. Through this, Singapore did not need to rely on foreign countries for military equipment. Through this, Singapore attempted to bolster national security. How far were people’s life transformed after independence? People were uncertain of Singapore’s safety after independence as they were complacent of the protection of the British Military Protection and the British had decided to withdraw their military defence from Singapore by 1971. This led to a huge change in people’s lives after the introduction of the National Service so as to improve Singapore’s defence and to overcome the problem of limited resource. The conscription of male citizens into the military service caused a disruption to people’s studies and career but also helped developed some degree of independence and confidence among the national servicemen and it helped improve racial integration and comradeship. It also affected some families negatively as the pay for being a NS men was $60, causing a huge change in salary for the sole breadwinners of not so well to do families. Thus, after independence, people were unsure of the country’s safety and some were not happy with the national service while others felt that they had to protect their country. Many people were worried about the employment issues that Singapore will be facing after independence due to the lack of manufacturing industries which provide job opportunities for the people. Singapore’s leaders decided to focus on the development of manufacturing industries that would reduce Singapore’s dependency on trade with other countries and increase its employments. More freedom in the management of their business and the tax incentives offered by the government. This led to more job opportunities for the people and boost Singapore’s economy. Therefore, the strategies brought about significant changes to the people’s lives where more people had more jobs and steady incomes, which enabled them to afford essential items, improving their lives. How far were people’s lives transformed after independence? after the start of independence, the country’s fate took a better turn and the lives of many improved drastically. however, Singapore still faced countless of difficulties as a small nation and the road was not a smooth one. thus, in order to solve these problems, the government introduced employment opportunities and transformed the living conditions of the people for the better. these changes have helped the people and have developed Singapore into the prosperous and successful country it is today. the government felt a need to provide affordable housing for the people as the living conditions for many were poor in the late 1950s. Many people were living in shop houses and squatter settlements all over the country. These squatter settlements expanded rapidly due to the sudden increase in population. However, the living conditions of these houses were extremely poor as they were either run-down or overcrowded. Thus, knowing this, the HDB implemented a housing program that sought to build new flats quickly and therefore, by the end of 1965, the HDB had built about 53,000 new flats. The HDB also addressed the overcrowding problem around the city area by relocating families to HDB flats in other parts of Singapore. As, these flats were equipped with modern toilet facilities as well as electrical water supplies, the amenities were very attractive and it caused many people to choose to move into these HDB flats. These HDB flats also have markets, community centers, shopping centers and halls for gathering nearby. Not only so , the HDB flats also had bus stops and factories in the vicinity. This allowed people living in HDB flats to only need to walk a short distance to get to these factories for work. Hence, the people’s lives were transformed as the living conditions of the people had improved. Foreign investors and multinational corporations such as 3M,Ford Motors,Shell,Mitsubishi and Texas instruments set up factories in Singapore.Factories producing goods such as garments,metal products,textiles,toys,wood products and hair wigs were set up in Jurong industry Estate.This provided a solution to the lack of jobs in Singapore and many people were given the opportunity to earn steady incomes.Moreover, the factories provided technical training and work experience for the workers. The jobs allowed them to afford essential items and improve their quality of life. With the increasing number of factories, the contracts ,salaries,working hours, health and medical benefits improved for the workers as well. This attracted women to join the workforce,showing that they were happy with the benefits that were available.Hence,by the 1970s,the unemployment rate had fallen to 3.5 percent compared to about 10 percent in 1965. Ever since Singapore gained independence, the people’s lives changed and transformed for the better. However, they faced some hurdles in the process such as the lack of employment oppurtunities and poor living conditions but still, they managed to overcome them. Now, Singapore has bloomed to become a prosperous little red dot. After independence, the British decided to withdraw its military forces by 1971. This led the government to be concerned that Singapore would be vulnerable to security threats. Hence, the government introduced National Service to the young men of Singapore and also with the help of army recruits. To ensure the steadiness of Singapore’s economic development. There was the development of tourism and financial industries. The development of finance industries would support Singapore’s newly developed industries through the provision of services such as loans and monetary exchange facilites. It would attract foreign banks to set up their offices in Singapore and so, provide oppurtunities for Singaporeans to br employed in the financial sector. Jobs were also needed for the development of manufacturing industries and Singapore’s infrastructure. Most people were satisfied with their lives as Singapore’s economic developement has a positive impact on the on the lives of Singaporeans. With Singapore’s economic growth, more people had jobs and steady incomes. This enabled them to afford essential items and improve their quality of life. In order to reduce Singapore’s dependancy on trade with other countries and increase employment, Singapore’s leader decided to focus on the development of manufacturing industries to produce goods at a lower cost for export worldwide. By attracting multinational corporations to Sinagpore and increasing developement of industrial estates, people’s live in Singapore was transformed for the better. The development of Singapore’s infrastructure improved banking and finance that facilitated the growth of multinational corporations and other conpanies. Telecommunications are also improved to support the needs of industries and household. There has also been improvement in the operating conditions of industries in Singapore and living conditons. Teachnical education was also introduced to meet the demands of the developing economy. More schools were built and more teachers were recruited to provide Singaporeans with better educational oppurtunities. There has been a inprovement in air, sea and land facilities. Also, during the period of time, there were problems that people faced living in shop houses, squatter settlements and kampongs. In the 1960s, te Housing and Development Boars (HDB) was set up to provide affordable public housing for Singapore’s growing population. The HDB built flats to solve housing problems and overcrowding around the city area by it everywhere in the country. The flats had toilet facilities and electricity and water supply. People were convinced to move to the flats because of the facilities. They believed that by living in flats, their life will improve. After independence, Singapore faced many challenges such as defence internally and externally and job employment. Despite the odds, Singapore managed to break through and lives of Singaporeans were transformed shortly after. It was not easy to set up a strong defence force as Singapore’s manpower and financial resources were limited and had to be used for other areas of development.Hence, National Service was introduced. It was compulsory for male citizens to enrol for military service and they would continue to be part of the reservist forces.National service will help foster a national identity among the people of Singapore.It will also lead to a nation-building and creates loyalty and nation-consciousness by involving in Singapore’s defence.With the young men needing to enter National Service to contribute to the defending of sg,the lives of Singaporeans were transformed. This is because some of their family incomes and education were disrupted. Some people,inclusive of parents were reluctant to support National Service at first due to concerns of their children.However, the messages,get-togethers organised by the Members of Parliament made them realise that NS was essential for their nation’s security.Some were also supportive of the NS and felt that it was necessary.New Zealand,Australia,Britain,Malaysia and Singapore was also part of the Five Power Defence Arrangements formed and regular joint military exercises would be conducted within them. They would also consult each other if Singapore faced external threats.The chartered industries of Singapore was also set up to provide weapons and ammunition for the SAF to decrease the reliance on other countries for the provision of equipments.These measures hence made people feel that Singapore was well-defended. Singapore also had to provide jobs for its people. The Ministers for Finance, together with the Dutch Economic Advisor, came up with various strategies to diversify Singapore’s economy as it was a way to provide employment for people. These strategies comprises of Developing Manufacturing Industries, Developing of Singapore’s Infrastructure & also Developing of Tourism and Finance Industries. SG could not depend too much on trade with other countries and increase its employment instead, hence, the leaders of SG focused on developing manufacturing industries that would produce goods at a lower cost for export worldwide. They attracted a lot of Multinational Corporations (MNCs) as they provide considerable jobs in beginning of 1966. They even provide 6000-7000 of jobs that would reduce the unemployment rate. MNCs set up factories in SG and provide technical trainings also work experience for people. This reduces the number of people unemployed over years. Besides that, the Government reserved industrial estates in SG for the building of factories. Jurong was the first estate changed to industrial estate to start off SG’s industrialisation programme. Over time, more industrial estates were formed. SG then planned to develop Tourism and Finance Industries as tourists spending could affect SG’s economic growth and would increase job opportunities in tourism related industries. They promoted attractions & were also engaged in conservation projects in historical areas. These eventually attracted more and more visitors to SG. SG also transformed into a financial hub They were responsible for building investors’ confidence. With all these, SG’s economy grew quickly and foreign investments also increased in SG. Hence, unemployment rate decreased drastically too. After separating from Malaysia, Singapore faced many internal problems. Aside from the severe problem of internal and external security, the Singapore government had to overcome other major challenges, like employment opportunities and living conditions, to help transform the people’s lives in Singapore after independence. In the past, people in Singapore were worried that the lack of employment would affect their livelihoods. Singapore was experiencing severe unemployment at the time, with 14.3 percent of the working population unable to find jobs. It worsened every year as up to 20000 school-leavers joined the workforce annually. However, the lack of unemployment in Singapore worsened with the withdrawal of Britain military during mid 1970. Firstly, To boost employment, in the mid-1960s, multinational corporations set up factories in Singapore and provi ded Singaporeans with employment. They also provided Singaporean workers with valuable technical training and work experience. These companies helped to employ more than 19,000 workers by the time they were in full production in the following year. Secondly, Another way to boost employment opportunities was to boost Tourism. it is important to Singapore’s economy because tourist spending could lead to economic growth and an increase in employment opportunities in tourism-related industries. Thirdly, the development of finance industries secured the employment of industrial workers and provided opportunities for Singaporeans to be employed in the financial sector. The Monetary Authority of Singapore, built in 1973, nurtured the growth of the financial sector and supported Singapore’s newly developed industries through the provision of services such as loans and monetary exchange facilities. it also attracted foreign banks as it built the investor’s confidence to set up their offices in Singapore and thus provide opportunities for Singaporeans to be employed in the financial sector. The establishment of the Stock Exchange of Singapore in 1973 helped to better facilitate investment in local companies as it allowed companies to sell stocks to investors to grow their business. 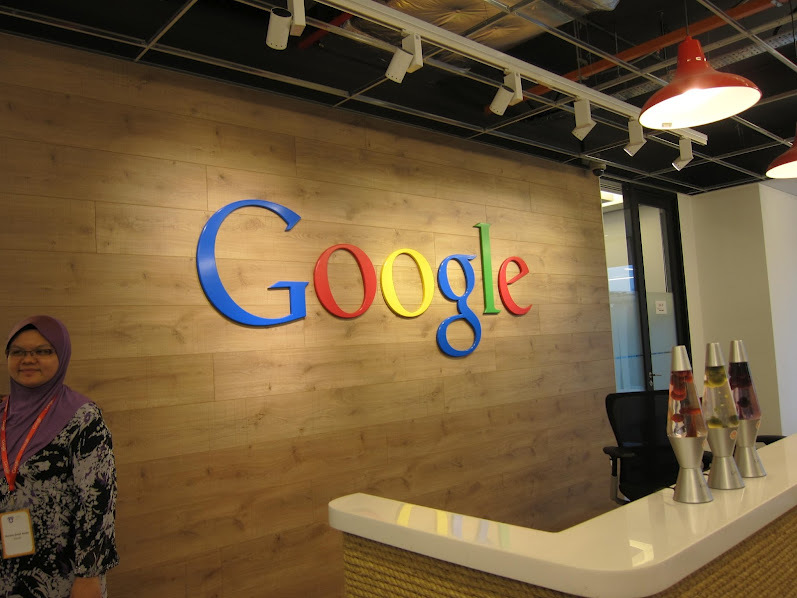 By the late 1970s, Singapore’s economy grew rapidly and the unemployment rate had fallen to as low as 3.5 percent as compared to about 10 percent in 1965. Hence, With economic growth, more people had jobs and steady incomes and These enabled them to afford essential items and improve their quality of life. kampongs. Singaporeans faced overcrowding and the Singapore Improvement Trust (SIT) was unable to build sufficient houses to cater to the growing population. Hence, the Housing and Development Board (HDB) was set up in 1960 and Lim Kim San was appointed the first chairman. HDB implemented a housing programme that sought to build new flats quickly, located away from the city area. CPF was implemented to increase home ownership among Singaporeans in 1968 and reduce rents and utility bills. There were 530000 new flats built by 1965 and then nearly 43 percent of Singapore’s population lived in HDB flats by 1974. Overcrowding was reduced when HDB allocated families into HDB flats of other parts of Singapore. Singaporeans had access to modern facilities such as toilet facilities, electrical and water supplies and thus was an attraction for people to move away from cities to prevent overcrowding. There was also better garbage disposal system a cleaner environment and easier access to work. However, the flat was smaller and the locals did not feel the camaraderie among them unlike the past in kampongs. There were many changes that were made by the Government of Singapore after independence in 1965. These changes include Singapore’s military cooperation with other countries and the introduction of Nation Service to build Singapore’s defense industry as well as the creation of national symbols and pledge to invoke a sense of belonging in Singaporeans. These changes have transformed our lives for the better as we now proudly call ourselves Singaporeans and also feel safe and secure all the time. After Singapore’s independence, as not everyone felt a sense of belonging towards Singapore as they were more focused on their personal life. 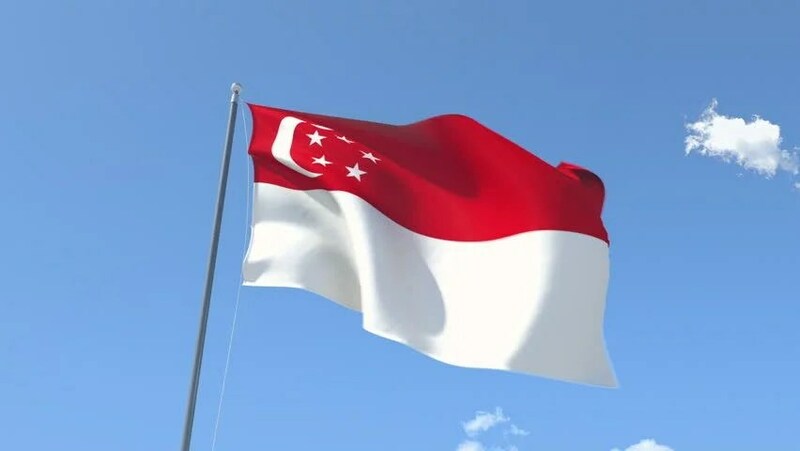 As such, the government was anxious that some people were not concerned for the future of Singapore and thus created the national symbols- national flag, national anthem and state crest, to forge a common identity among the people in Singapore. In 1965, the Ministry of Education suggested to compose a pledge that would also help to encourage Singaporeans to be united by setting aside the different race, language and religion to become a nation with loving people of one heart, one mind and one spirit. Hence, through this change, people started to feel a sense of belonging to Singapore as they felt that certain values and attitudes have to be shared to maintain a racially harmonious country. People were loyal and had the urge to fight for Singapore. In addition, students had to take pledge in school everyday. Although it was very different at first, with the passage of time, they got used to it and had a better understanding of it. Moreover, National Service was introduced to foster a sense of belonging to the country as it will urge people to stand up for Singapore. As the British decided to withdraw their military forces from Singapore by 1971, the government was concerned about Singapore’s vulnerability to security threats. Therefore, Dr Goh Keng Swee and officials from the Ministry of the Interior and Defense (MID) introduced National Service (NS) to all Singaporeans and PRs in 1967 for all men aged 18-19 who are physically fit to go through training. This allowed them to have more manpower in the army to help defend Singapore after the British announced to withdraw their military defenses. The introduction of NS changed their lives and was significant as it developed some degree of independence and confidence among the NS men and acted as a platform for racial integration and comradeship while strengthening Singapore’s defense. Along with NS, there were also military cooperation with other countries in 1971 in which Australia, New Zealand, Britain, Singapore and Malaysia established a series of agreements to enhance the security of the region. Under these agreements, joint military exercises were conducted and member countries were to consult each other should Singapore or Malaysia face any external threats. A defense industry, which was the Chartered Industries of Singapore (CIS) was established as well in 1967 to provide weapons for the Singapore Armed Forces (SAF) to reduce its reliance on other countries for supply of weapons and other military equipment. What did independence mean for Singapore? The significance of Singapore’s imdependence and the peoples reactions. The separation between Malaya and Singapore was an important and crucial step towards Singapore’s independence. The people had different reactions when they first heard about Singapore’s independence. Some were worried for Singapore as they thought Simgapore would not make it as an independent country as it has no economic resources. While some of the locals were not overly concerned about the news, they still expressed a sense of loss over the separation. Many countries were also anxious and concerened about Singapore’s ability to survive on it’s own. One of these countries was Britain which had ruled Singapore for over many years. Political leaders also had mixed reactions towards Singapore’s independence. Some saw benefits, while other saw challenges. The challenges that Singapore has faced. Firstly, Indonesia launched a policy of the Konfrontasi against the formation of the Federation of Malaysia. Because of this, lives were killed and left many injured. Singapore only had a small defence force of its own,amd did not have any aircraft to defend its skies. Following the independence, the British government announced its plans to withdraw its military forces from Singapore. Due to this, Singapore was then vulnerable to external threats. Therefore, Singapore has established the Ministry of the Interior and Defence to protect it from threats. Diplomatic relations with other countries. Singapore is a country that has newly gained independence. Singapore had to cultivate relations with as many countries as possible to safeguard its independence from external threats. To gain recognition as a state, Singapore also applied for membership to imternal organisations such as the United Nations amd Common Wealth. Singapore has absolutely no natural resources or precious minerals. Thus, it was not able to be reliant on the export of natural resources to develop its economy and provide jobs for its people. Singapore also had tense relations with its neighbours and this threatens its economy. Other than that, Malaysia has also imposed more taxes on goods after the separation. There was also the slowing down of trade due to policies implemented in other countries. These causes severe unemployment in Singapore. Citizenship and Sense of Belonging. Lastly but not least, Singapore had to forge a sense of belonging towards Singapore in the locals so that they are devoted into contributing to the country. However, a bulk of the amount of people in Singapore are foreigners. The separation with Malaya played an important part in making Singapore grow as an independent country.Despite the difficulties, it was a milestone as this was the first time the country had been free from rule in many years, and finally been given full authority. The separation allowed Singapore to be responsible of her own economy, and leaders had to learn how to ensure the security of the people and instill a sense of belonging among them. When Singapore gained independence, other countries recognized her as a republic country and offered help to Singapore on friendly terms but some countries were doubtful of our survival on our own. After the separation, the political leaders were greatly disappointed and shocked, because they had worked extremely hard for the merger and believed that despite the tension they could not split. They were also worried since Singapore had a lack of natural resources and no army. Some citizens shared the same feelings of utter shock and disbelief at the separation,and felt that Singapore had no hope. They were also saddened, because they could no longer stay in close contact with family in Malaysia. On the other hand people not affected by the separation had no reaction to it. Singapore’s independence did not come easy and it brought forth many challenges.One of them was security.Singapore did not have its own military,and law and order was not strong as well.In the early stages of Singapore’s independence,she was repeatedly attacked by Indonesia as part of the ‘konfrontasi’ policy.Southeast Asia was also experiencing instability at this time.As such,Dr Goh Keng Swee established the National Service system to strengthen Singapore’s armed forces quickly.Another issue was ensuring economic survival.Singapore had no natural resources and thus it had to rely on trade for them.There was also a severe lack of unemployment at that time.As such,Singapore had to develop a diversified economy along with relying on trade for economic survival.The last problem was instilling a sense of belonging in Singapore’s citizens.This was because most people in Singapore had come from Malaysia.To resolve this,the government made appeals and urged locals to get Singapore citizenship. Overall,the independence of Singapore was a significant milestone for the people of the country. It brought many challenges but we managed to overcome them and develop Singapore to what it is today.